Day 27: Tuesday, June 11, 2013. Triple G Hideaway site 87, Ft. Nelson, BC. 290 miles traveled. Our journey on the Alaska Highway has finally begun! 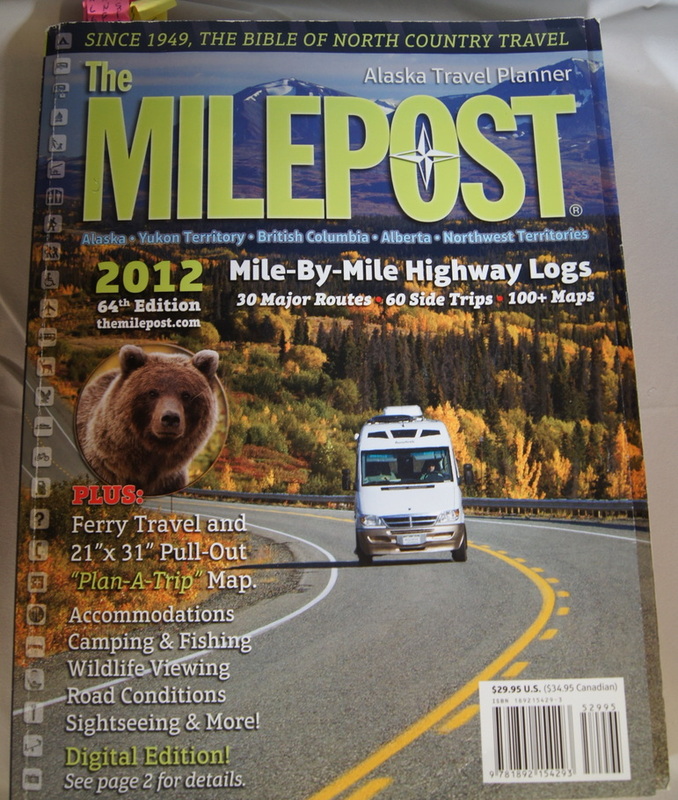 The Milepost is a must have book when you are making a driving trip to Alaska. It warns of steep grades, shows where places of interest are located, and tells where to look for wildlife! It also has the campground phone numbers which makes it useful to call ahead when we have cell service. We haven’t had cell service since we left Dawson Creek. We drove along looking for moose and bears all day. No luck today. The only bad part of the drive was a couple of areas with 10% grades. The worst one was a downhill grade on a winding part of the road as we approached the town of Taylor. I could look down into a gorge as we drove. We arrived at the campground about 3:00, got fuel and spent the afternoon watching the RV’s arrive. One of the most fun things about RVing is meeting people in the campgrounds. Everyone we met was going to Alaska. We were parked between a couple returning to their home in Anchorage from Seattle and a family with two boys who have been traveling the country since February, 2012. We also ran into some people from Savannah we met in Dawson Creek. So far on our journey we have met people from Georgia, Alabama, Louisiana, Michigan, Nevada, California, and various other states.